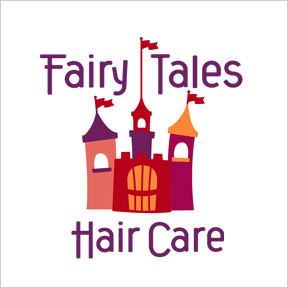 Since 1999, Fairy Tales Hair Care has provided affordable, high-quality professional hair care products for children and families. Fairy Tales Hair Care offers Rosemary Repel®, a line of original formulations clinically proven to eliminate head lice and nits, and prevent future outbreaks, without the use of harmful additives. Gentle, effective, and safe for everyday use, these proprietary allergen-free formulas contain essential oils of organic rosemary, peppermint, lavender, citronella, tea tree, and geranium that help keep bugs away, and leave hair cleansed, softened and detangled. All products are biodegradable, and are sulfate, paraben, phthalate, chemical and pesticide free. Lice Good-Bye® Survival Kit: This all-natural, safe, and clinically proven lice treatment effectively eliminates head lice and stubborn nits without harsh chemicals or pesticides. Kit includes Lice Good-Bye® Mousse natural lice treatment, a metal nit-free removal comb, easy grip sectioning clip and Rosemary Repel® conditioning spray, clinically proven to be 94% effective at preventing future infestation. Safe for repeated use. Contains gluten. Soy and nut free formulation. Rosemary Repel® Conditioning Spray: Rosemary Repel® is clinically proven to help prevent head lice with a proprietary blend of organic herbs and natural essential oils. Jojoba and chamomile hydrate, moisturize, and soothe the scalp. Safe, effective, and gentle enough for daily use, this formula is free of sulfates, harsh chemicals, parabens, phthalates, and toxins. Gluten, soy, dairy and nut free formulation. Super Charge Detangling Shampoo: Super charged with natural jojoba and aloe vera extracts, this sulfate-free nourishing shampoo softens, calms, and detangles unruly locks. Natural keratin extracts help to strengthen and fortify hair, while a proprietary vitamin blend improves manageability and helps prevent breakage. Gluten, soy, dairy and nut free formulation. Super Charge Detangling Conditioner: This nourishing conditioner eliminates tangles, instantly calms frizz, and moisturizes all hair types. Vitamins and natural keratin protein strengthen and smooth hair, improve manageability, help prevent breakage, and leave hair shiny, soft, and tangle-free. Gluten, soy, dairy and nut free formulation. Static Free Detangling Spray: A favorite of Moms and Dads everywhere, this weightless conditioning spray eliminates morning bedhead, static, frizz, and unruly knots with natural jojoba and aloe vera extracts. Natural keratin protein extract softens, conditions, and leaves hair shiny and tangle free. May be used on wet or dry hair. Gluten, soy, dairy and nut free formulation. This entry was posted in Home and tagged Fairy Tales Hair Care, Lice Good-Bye® Survival Kit, Professional Supplement Center, Rosemary Repel® Conditioning Spray, Static Free Detangling Spray, Super Charge Detangling Conditioner, Super Charge Detangling Shampoo, Vitamins and supplements, www.professionalsupplementcenter.com. Bookmark the permalink.